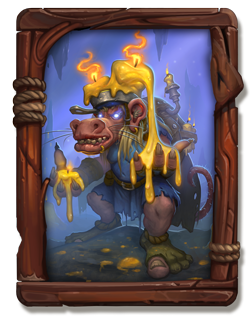 King Togwaggle grinned in wicked satisfaction as his waxmancers cast their spell. Hot wax ran in streams from the candles they wore atop their heads, but the candles did not shrink. Instead, seemingly endless runnels of wax wormed their way to pool together unnaturally. Marin watched with mounting concern as the wax flowed together into a humanoid shape a full head taller than himself. Finally, the suggestion of a face appeared, with lit candlewicks for eyes. Burning eyes fixed on Marin, the golem took a step onto the bridge. 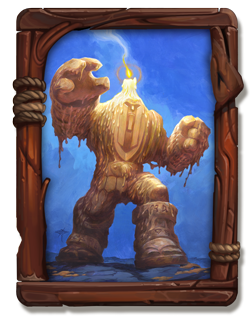 “A candle golem. Of course. 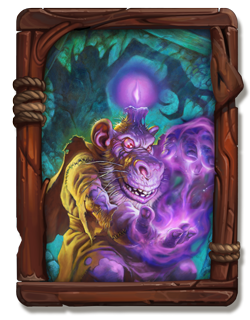 I don’t know what else I was expecting from kobolds.” Marin muttered. The old ropes creaked like a rusty hinge as the bridge sagged under the golem’s weight, and Marin was convinced he heard something snap. He backed away as the golem advanced. He’d never imagined that the simple-minded kobolds had been cooking up spells like this! But he had no time to ruminate on kobold ingenuity; he needed to deal with the golem quickly—the bridge creaked and juddered with every step the waxy monstrosity took. Marin drew his sword as the golem lurched toward him, slashing experimentally when it came into range. His blade passed through the warm wax of its body with little effort, but the wounds left by his blade closed almost as soon as he made them. The kobolds let loose a ragged cheer. 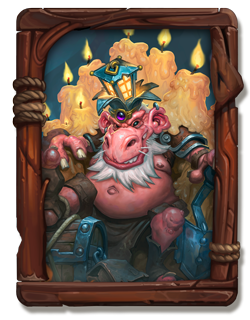 The hulking wax golem reached out to grab Marin with its blocky hands. Marin dodged easily—the golem was clumsy and slow. But it was relentless. Marin cut it a dozen times, but the golem kept coming, its candle-flame eyes glowing brightly in the gloom. It had eyes! That gave Marin an idea. He waited a breath, and let the golem get close. As it swung its arms out to grab him, Marin ducked into the golem’s embrace. At the other end of the bridge, the kobolds whooped and hollered, thinking that the foolish adventurer had made a fatal mistake. If the golem was capable of expecting anything at all, it wasn’t expecting that. It overreached, its massive arms passing harmlessly to either side of the adventurer. This close to the thing, Marin could feel its unnatural warmth, and the smell of burning candle wax was overpowering. Before it could close its arms around him, Marin took a deep breath and blew. The candle flames in the golem’s eye sockets guttered out, releasing thin tendrils of smoke. It reared back in surprise, blinded and its prize forgotten—just as Marin had hoped. 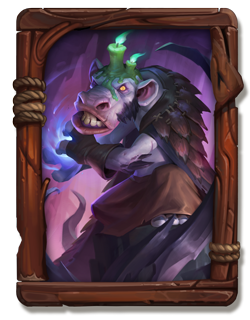 The kobolds groaned in disappointment. Marin took advantage of its distraction to sheathe his sword and slip over the edge of the bridge. His stomach lurched as he swung down and dangled from one of the fraying ropes, the depthless chasm seemed to reach up and grasp at his boots. He swallowed and worked his way past the groping, flailing golem, careful not to get his fingers stomped as he edged past. He forced himself to give it a wide berth before levering himself back up onto the tortured span with a sigh of relief. He wasn’t far from the kobolds now. As he stood to face them, he drew and leveled his sword at the creatures. Time to say something dramatic and intimidating! Marin felt the hair rise on the back of his neck. He faintly heard an unnerving, dissonant babbling, as if from many mouths, echoing from the tunnel behind the kobolds. 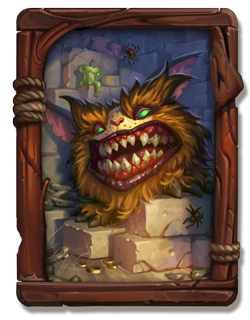 The kobolds exchanged expressions of horror. In all the excitement of cheering for their wax champion, they’d neglected to listen for other dangers. 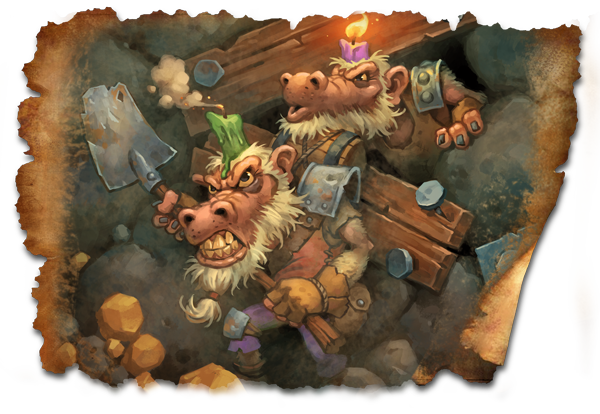 “Feral gibberers!” King Togwaggle gasped, fleeing to the bridge and leaving his subjects behind without a second thought. The kobolds scrambled after their king, pushing past the adventurer onto the bridge in a mad dash to escape whatever was coming. The other end of the bridge was still blocked by the blinded golem, so they huddled behind Marin for protection, evidently forgetting their previous conflict in the face of a greater threat. The bridge agreed. It had bravely withstood the weight of a full-grown man and an overgrown candle monster. It had even put up with Marin’s gymnastic antics. But the weight of a party of quaking kobolds plus a golem and a hero was simply too much. The ropes released a long, crackling groan. “Hold on!” Marin screamed. He dropped his sword and scrabbled for something to grab onto, but he was too late. The ropes beneath the golem gave way, cracking like a giant whip, and they all—adventurer, kobolds, and golem—plummeted into the murky blue glow of the chasm.